Moreover, GAF’s history of innovation has yielded warranty upgrades that exceed competitor’s coverage. In fact, GAF has increased its warranty on the Timberline product to a rating of “lifetime*”. The first roofing shingle provider to offer this level of protection! Take advantage of this new, unprecedented warranty term. 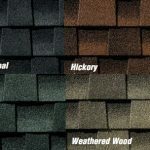 Connect with us for a free quote on a new roof with GAF Timberline shingles. * The word “lifetime” means as long as the original individual owner of a single family detached residence (or the second owner in certain circumstances) owns the property where the shingles are installed. See ltd. warranty for complete coverage and restrictions. With so many miscellaneous aesthetic choices that you can make for your home or office, getting a prior consultation with a professional designer matters. Sign up!